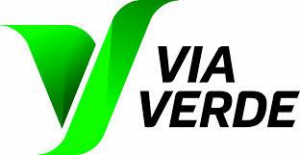 Via Verde Portugal is doing electronic collection for highways in Portugal. Adding to this, it has multiple value-added services for in-car-services: off-street and on-street parking (app based), McDrive, Fuel and Ferryboats. With more three million clients, each one has an OBU (Identification) and a payment mean for post-payment scheme. The challenge will provide data on the volume of clients using Via Verde services in Porto, value spent and possible combinations for bundle pricing schemes. Giving the client origin and destination, pricing schemes can differ from locals to clients living outside Porto city ring. Information can be set for vehicle type and client type. The given conclusions may apply for different payment means associated with Client contract type. Inside Porto metropolitan ring, different areas may be applicable as well, using car-park availability and parking capacity. Via Verde covers close to 80% of tolling transactions and 60% car-parks. We want to increase these values, offering pricing bundles: daily, weekly or monthly passes for private and corporate clients. Tools to simulate and monitor the efficiency of these pricing bundles may also be conceptualized.